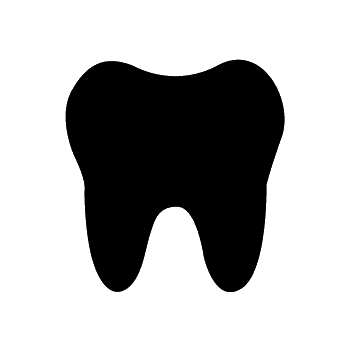 Lori Ann has been a member of our team since 2002. She is Dr. Smith’s main assistant. She is very meticulous in her work as an assistant and takes her job very seriously. She will make sure all of your dental needs are met. When she is not working she enjoys spending time with her family, son and reading when she has time. Cindy joined our team in 2009, she is Dr Levine’s primary assistant. 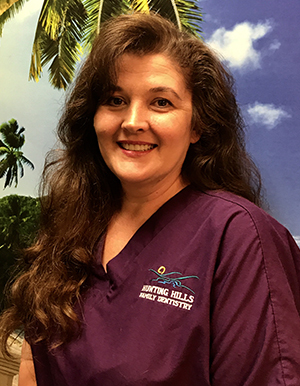 She enjoys assisting and getting to know our patients. She grew up in Rockbridge Co and moved to the Roanoke Valley 4 years ago. When she is not working she enjoys spending time with her husband, 2 sons and her dog Mollie. Cindy also enjoys gardening and cooking. She is also very active in her church. Crystal entered the dental field in 1997. She's a native of the Roanoke Valley. 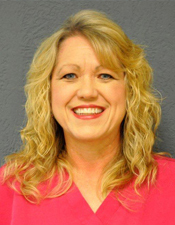 Crystal enjoys being in the dental field and loves making patients comfortable during their dental visits. For fun she enjoys spending time with her boyfriend Jon, her family, and shopping. Lisa is originally from the Roanoke Valley. She has been in the dental field since 2001. 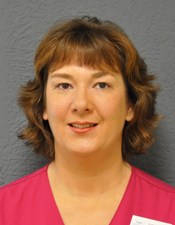 Lisa has worked with adults and in pediatrics. In her spare time she enjoys spending time with her family. Cara was born and raised in southern Indiana. 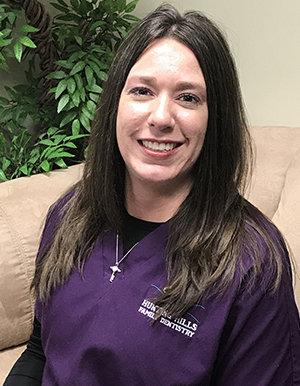 She graduated from ATA College in Louisville Kentucky in 2010 and attended the University of Louisville Dental School for her "Dental Assisting Delegated Duties" certification in 2011. 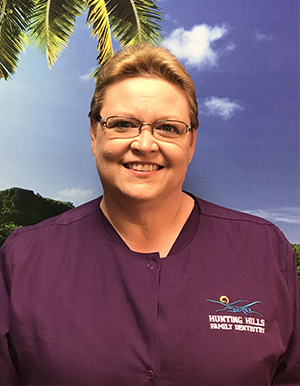 Cara moved to Virginia in May of 2016 and joined Hunting Hills Family Dentistry. Cara enjoys living in Roanoke and getting to know her new hometown, from the mountains to the parkways and other sites around the area. 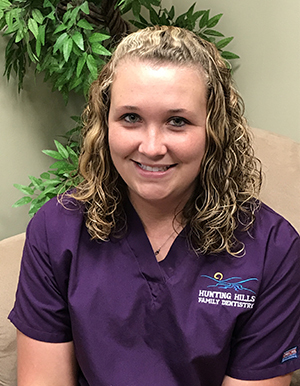 Britney joined our team here at Hunting Hills Family Dentistry in April of 2016. She has been working in the dental field for over 7 years now. In her spare time she enjoys racing, truck pulling, camping and spending time with her daughter.